The smellier the cheese, the better it tastes! 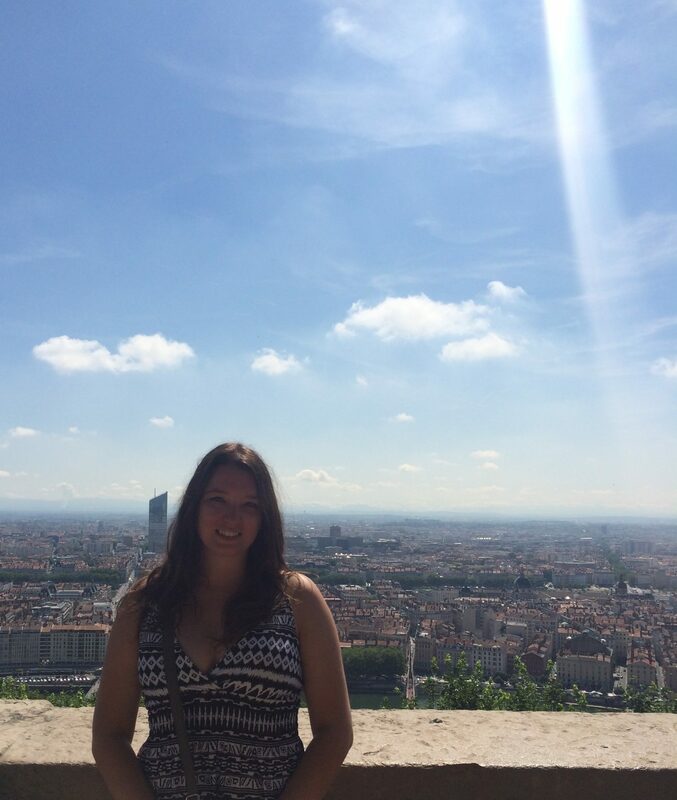 The Miners study abroad program took a trip to spend a day in the city of Lyon with other students from our IFALPES school. This is the second biggest city in France and is very different from other places we have visited. We were able to see a big street market for antiques, visit a variety of shops with cheese or pastries, enjoy a cultural festival, explore two beautiful religious establishments, and check out some Roman ruins. A focal point of the city is two religious buildings that are in eyesight of each other. The Cathedral Saint Jean is at the bottom of a steep hill, nestled in with the rest of the city. The Basilica of Fourvière graces the top of a cliff in a very spectacular way. The climb up to Fourvière was intense but worth the visit. The basilica has beautiful mosaics, and since it is at the top of a large hill, it gives one the chance to get really familiar with the layout of the city because the views are spectacular. Our tour guide spoke only French, but the longer I am on this trip the more I understand. He explained some interesting information about the basilica’s architecture and art. Later during our visit of Lyon, we walked though the narrow streets with interesting shops in what seemed like complex medieval mazes. We got to see and hear the inside scoop on the city—tagging along with a local guide leads to the best surprises. The longer I stay in France the more amazed I am about the gorgeous churches. I was able to hear a mass in French at the Fourvière Basilica. I was stunned by all of the mosaics, paintings, and even just the floor plan of the basilica. 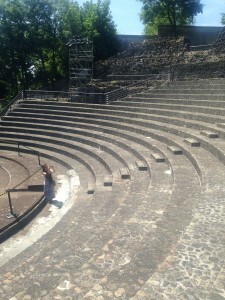 Walking across the Roman ruins of an ancient amphitheater is truly remarkable. Step on the stones, climb on to center stage, hike up to the very back, and imagine the grand Roman productions that took place there. 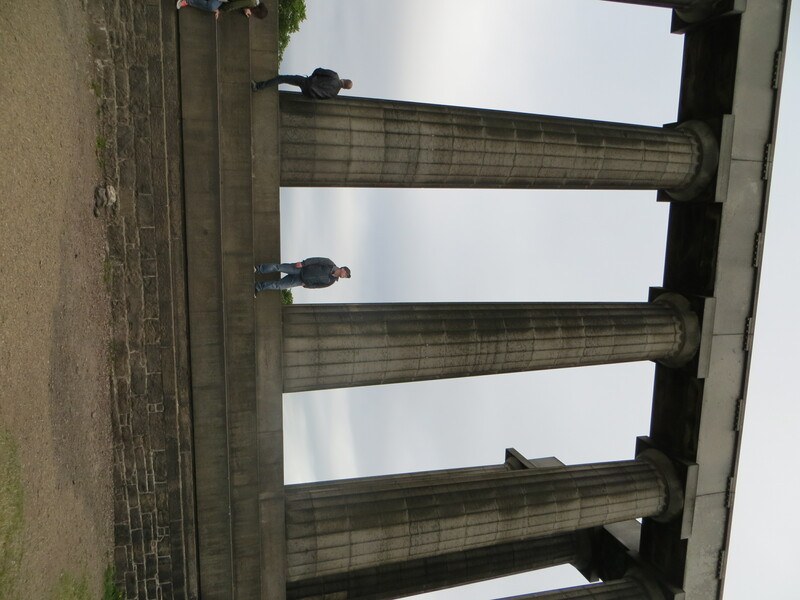 Those Romans knew what they were doing with architecture and planning because our group tested how one could simply talk at center stage and others can hear what is being said fairly high up into the amphitheater. 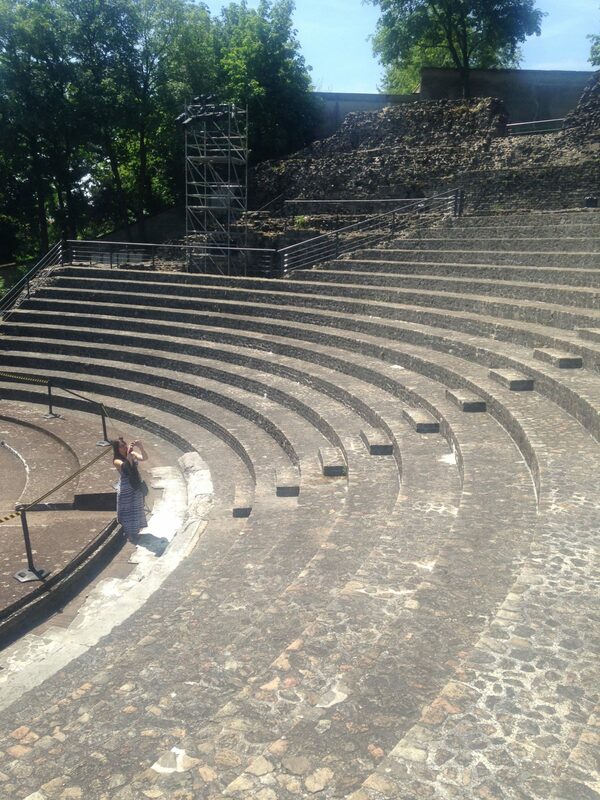 The aisles and seats in the amphitheater have clearly stood the test of time for centuries. I can only imagine seeing a stage production and hearing people sing in this ancient ruin back in the day. What has been wonderful about this whole study abroad excursion is that there is structure but at some points we have some time to explore on our own. 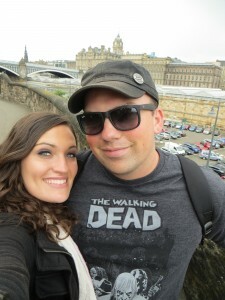 Ashley and I partnered up to walk around Lyon. 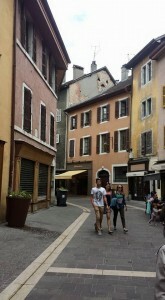 While on a journey back to the bus to take the group back to Annecy, we were side tracked by a huge cultural festival. People from all over the world dressed up in their finest and truly painted a picture of how diverse Lyon is. Many beautiful faces and costumes with dynamic music were parading through the streets. Various art objects, food, and goods were on display to reveal a colorful feast for the eyes. 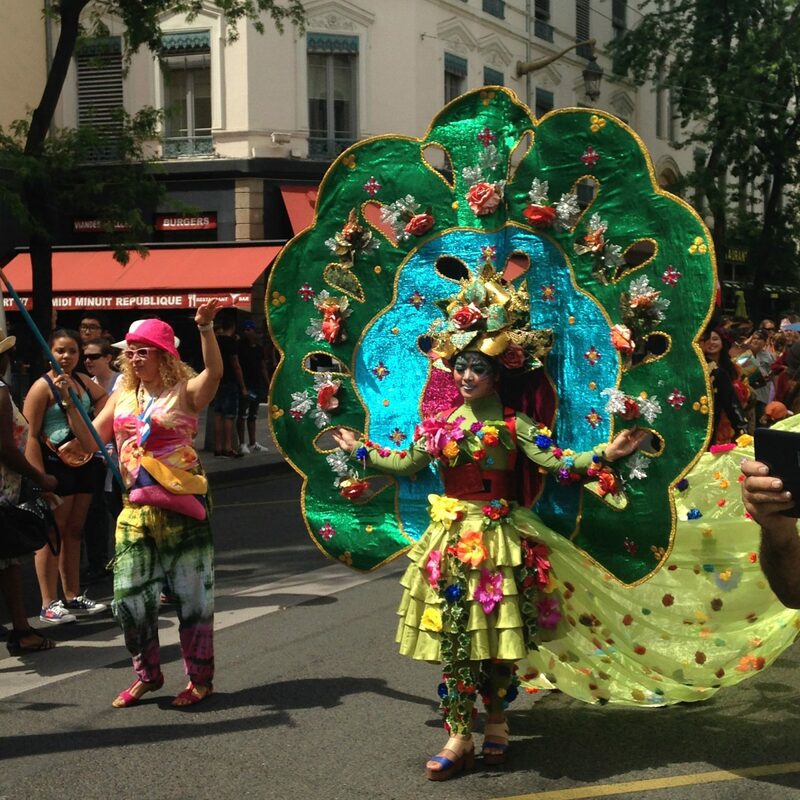 My particular favorite was the Chinese dragon diving through the crowds and some women dressed up in huge gowns. All in all, Lyon was a great sample of yet another diverse city in France with excellent food, culture, architecture, and museums. It was a perfect Saturday well spent, away from language class in school. Getting French taught on site, using local dialect and slang, leads to great leaps of learning. It is an excellent aid to the grammar lessons at IFALPES and very beneficial. Here are links to the IFALPES school we attended and to the IFALPES Facebook page that has all kinds of fun anecdotes. I grew up for a time in the Rocky Mountains in Colorado and I visited the Andes in Peru when I was 11. 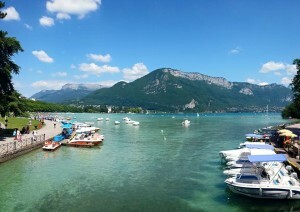 I am familiar with the beauty of mountains but I had no idea just how stunning and subtly different the Alps in Annecy would be: the immense blue-green lakes winding their way through the valley, the far-off peaks still crested with snow as sunbathers spread themselves out over the beach, and the light blue haze haloing it all. While the scenery is beautiful, one of my favorite parts of the Annecy leg of this trip is the chance to see some different French culture. This was especially easy since we are staying with French host families. My host family lives up on the side of a mountain with an amazing view overlooking the lake and the town. It was very hard learning to live with them at first. Between the language barrier and figuring out the ins and outs of their household, I first thought that I would hate living with a host family. 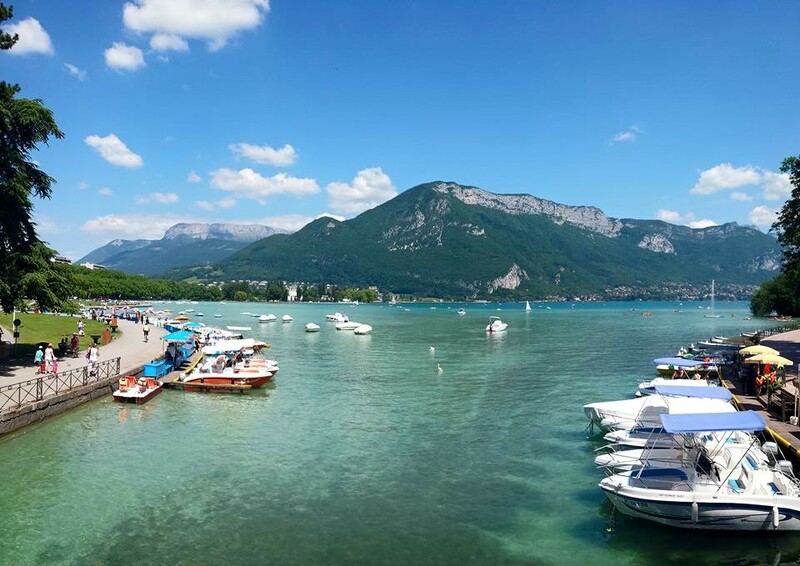 After the struggle of interpreting and then getting over all the eccentricities that come along with living with another family, something that accompanies living in a foreign situation and not just with a foreign family, I began to truly enjoy my time in Annecy. The efficient bus system can take me anywhere I want to go in the city. In the end, this is not necessary because, each day after class, we wander the same scenic centre ville for hours; shopping in little boutiques, walking and swimming in the lake, and eating ice cream almost every day. 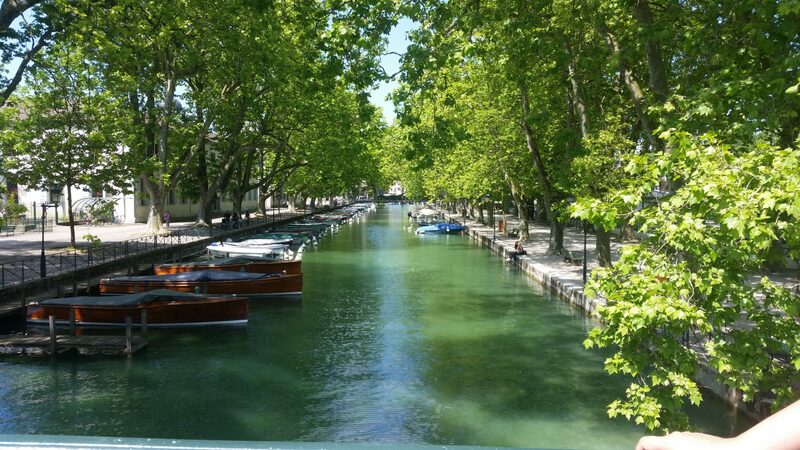 Annecy is like something from a storybook. The old cobblestone roads wind their way around churches and canals, all leading the to lake cradled by the mountains. As the days have passed I have gotten used to riding the bus, going to school, and living with my host family. The scenery however, I could never get used to. Even during my last week here, the view as I ride the bus down the mountain to school in the morning still takes my breath away. This morning I was reminded that today officially marks the halfway point of my France study abroad experience, and honestly, it is very bittersweet information. I do not think that anyone could have accurately warned me about how much I would miss home: my friends and family, a language that I am fluent in, and just the overall comforts of being in the culture I know. However, at the same time, I wish I could have more time to learn here. I feel like my French is improving immensely with each day that passes, and even beyond that, I believe my sense of cultural appreciation is continually growing. My first night in Annecy was very difficult for me. I arrived at the train station and within minutes was whisked away, taken to the home of someone who was a stranger to me. At first, my brain had a very difficult time processing all the French that was coming at me in rapid-fire mode and I was overwhelmed. I quickly learned that my homestay mom spoke no English, only Italian and French, and realized, just as quickly, how difficult a language barrier can be. I was lucky to be paired with such a wonderful host who is very patient with me when I struggle and is helping me to understand by explaining things in different ways until I comprehend them. However, it can be very frustrating at times when you are asked a question, have many thoughts about the topic, but lack the words to be able to convey that message. For the first few days, I found myself limited to yes/no answers and felt like I could not express the real me. 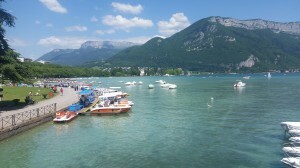 Thankfully, since I have arrived in Annecy, communicating has become a lot simpler. I am not sure if it is from becoming more familiar with the language through my classes, my host mom speaking slower, or some mixture of the two, but it is definitely a breath of fresh air. While I am here, I am taking a language intensive course at IFALPES and in my opinion, this is an incredible school. 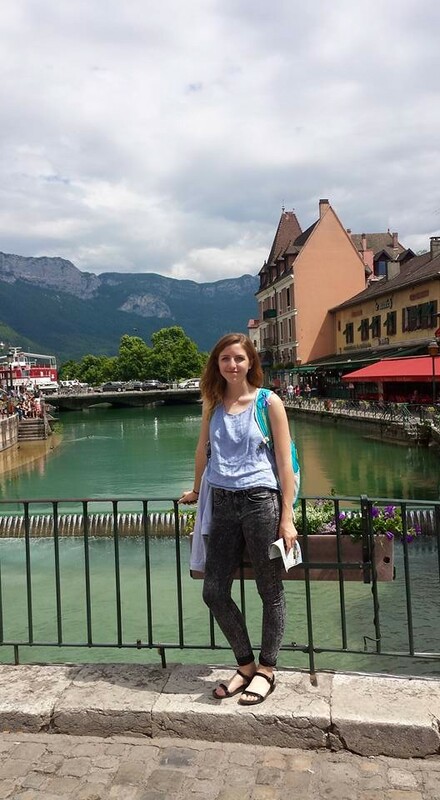 There are students in my class who are from all over the world (Japan, Ukraine, Germany, Libya, and Venezuela, just to name a few) and have come to learn French here in Annecy just like me. Since none of these countries share a native language, the only way we are all able to communicate with one another is through French. To me, this is amazing since we are continually putting our studies into practice with others whose French is at the same level as our own. Also, I think it is wonderful to be meeting friends from all over the world who are going through the same experiences as me and to learn how the culture here in France varies from the culture of our various home countries. When the train started going through the outskirts of Annecy, I began to wonder if I had accidentally dozed off. I would not have been surprised if all of the sights around me were just a dream. The green mountains and sparkling blue lake made me feel like I was living in a fairy tale. 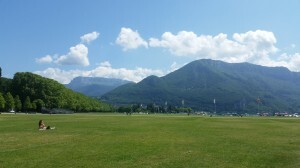 Even now, nine days after I have arrived here I cannot get over the lakefront view with the mountains in the background. If you look towards the peak of the mountains, you can see snow. This is such an unbelievable contrast from the gorgeous 85-degree weather we have been having here. Since I have arrived in Annecy, I have made sure to walk to the parks in front of the lake each day and just take in everything around me. There is something magical about walking through the ‘centre ville’ with the multicolored buildings, gorgeous flowers, and sparking canals surrounding me that leaves me no doubt that Annecy is the most beautiful city I have ever seen. Americans like to think that they know France. Before I came to France, I had an idea in my head that the French people were rude, smelled bad, had overwhelming accents, and ate mounds of cheese. America had created these stereotypes through the infamous Pepe le Pew and bad accents in movies, but a lot of what I thought France would be like has already been proven wrong in my first week here. 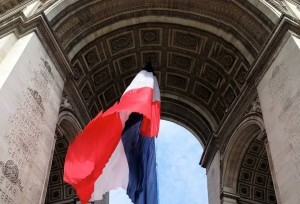 Although some stereotypes that Americans have of the French can be applied in situations, there is a whole different world to France than what is portrayed in the States. 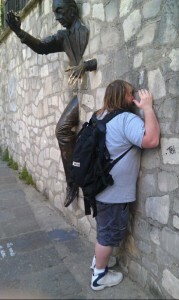 I decided to come to France early alone as a way to build my navigation skills and confidence in myself as a traveler. Haunted by jet-lag, I got off the plane and began my journey in this enormous, beautiful city. My first impression of France began as soon as I got onto the train to reach my hotel. Looking out the window, I could see signs with French words such as boulangerie and épicerie on these intricate, elegant, tan buildings that held symmetry throughout the city. The city seemed so fast-paced, with people running to get onto the train at the stops and holding conversations at a quiet, yet speedy pace, and cars zipping around the streets trying to make every green light that they could. I thought of all the movies I’ve seen that portray France; none of them could capture the extraordinary feeling of being here. I was so proud of my navigation skills until it came to finding my hotel. I walked the street back and forth about twenty times with all of my luggage until I finally found my destination! After taking what was going to be a brief nap that turned into a long, deep slumber, I walked to a nearby café and had an experience I will never forget. While sitting with my bubbly water (I had thought that carbonated water was the only water offered in France because I had misunderstood the server, but I found out later that was not true! ), I had an experience I’ll never forget. The people in the café were all chatting, when suddenly the bartender started humming a song. Then suddenly, everyone started singing together and the entire café was filled with music. I felt like I was in a movie with some sort of impromptu musical scene! It was really cool to see the community get along so well and all come together over a song. Even I started to sing along once I caught on to some of the chorus! On Saturday, I went to Versailles, where I got to explore the old castle that French kings once lived in. The palace was absolutely stunning, and a place that I’ll never forget. 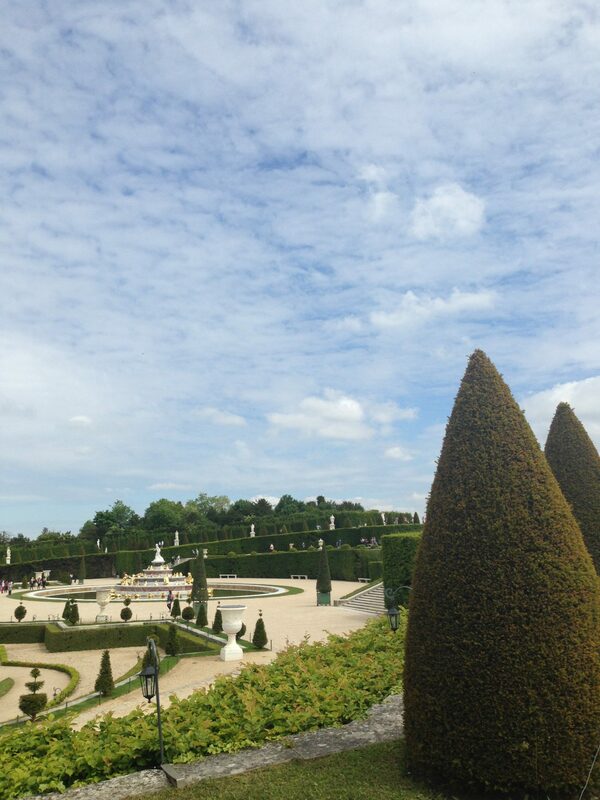 The gardens were so enormous. I got lost multiple times; however, I did not mind getting lost at all, because every time I took a new turn, there was another beautiful sculpture, fountain, or work of art for me to become mesmerized by. 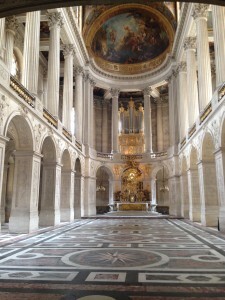 It’s hard to put into words the beauty and elegance that the Palace of Versailles holds. It is just one of those places that people need to see for themselves. I went to a restaurant for a well-deserved meal after walking around the gardens and palace for a good six hours. The server there could tell I wasn’t from around the area, but she played along with my poor French, and she actually talked with me and taught me a few words that would be useful in a restaurant setting. 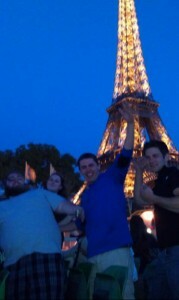 The people in France are extremely friendly! I headed back towards my hotel and actually stopped by the same café to say bonjour to my new friends. That Sunday, the rest of the study abroad group arrived in the city. With my luck, when I tried to check out of my hotel, my credit card did not work, and I ended up running late to the group lunch because I had to call the bank and fix the issues. However, I did make it in time for the check-in at the Generator hostel that we are staying in for the week. I was really nervous coming to the hostel because other than my friend Julie from class, I had only met the other girls on the trip at the pre-departure meetings. Thankfully, we have a wonderful group of girls, and I have had such a good time with them. We left for dinner around 6:00 p.m. and went to a lovely restaurant in the Latin Quarter. This was the first time that I had seen the Latin Quarter, and I was absolutely speechless looking at the Fontaine St Michel. The sophistication of the details of the fountain and the elegance that it brought to the city was breathtaking. Madame Langston gave us a history lesson about the fountain, and I that’s when I got really excited to learn more about the city. 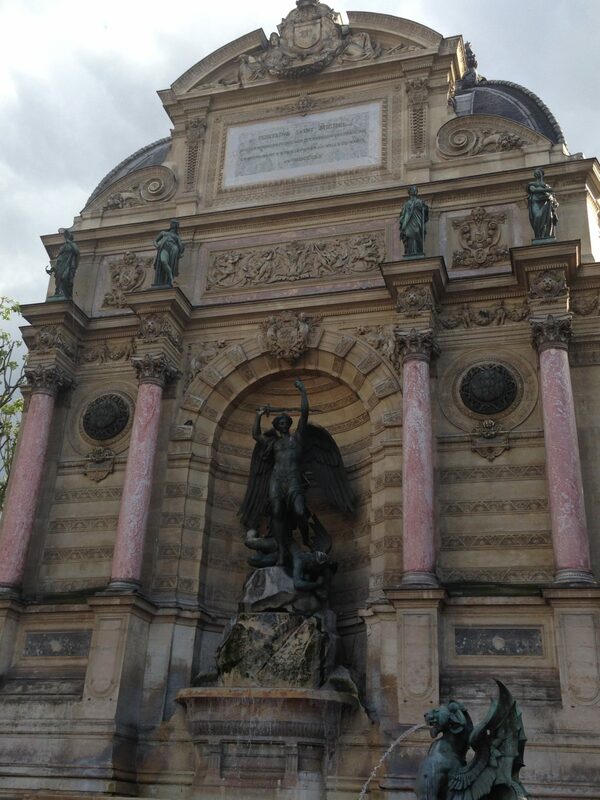 I had seen landmarks like the Fontaine St Michel online before, but a picture does not do the real thing justice. We walked a little by the Seine River, which provides another beautiful view of Paris, and continued as a group to dinner. The restaurant was absolutely wonderful, with fresh flowers, a friendly staff, and terrific food. I thought it was very interesting to be able to experience the differences between French dining and American dining. The French eat dinner very leisurely with multiple courses in order to promote time for conversation and enjoyment. I had such a good time bonding with my new friends that I’ve made on this trip! I am so grateful for this opportunity to study abroad, and I cannot wait to see where this trip will take me. Warding off the jet lag, we started off our Wednesday morning at a little café next to our hostel, Café des Dames. As we finished up our coffee and croissants, we heard on the news that that evening, President Hollande would be speaking at a ceremony, adding four Resistance fighters’ remains into the Panthéon (a crypt for famous French citizens): Geneviève de Gaulle-Anthonioz, Pierre Brossolette, Germaine Tillion and Jean Zay. (The women’s families did not want their bodies exhumed, so their coffins are symbolic and contain soil from their gravesites.) We were all super excited to be in Paris during such a historical event so we decided to change our plans for the day and go see the ceremony. 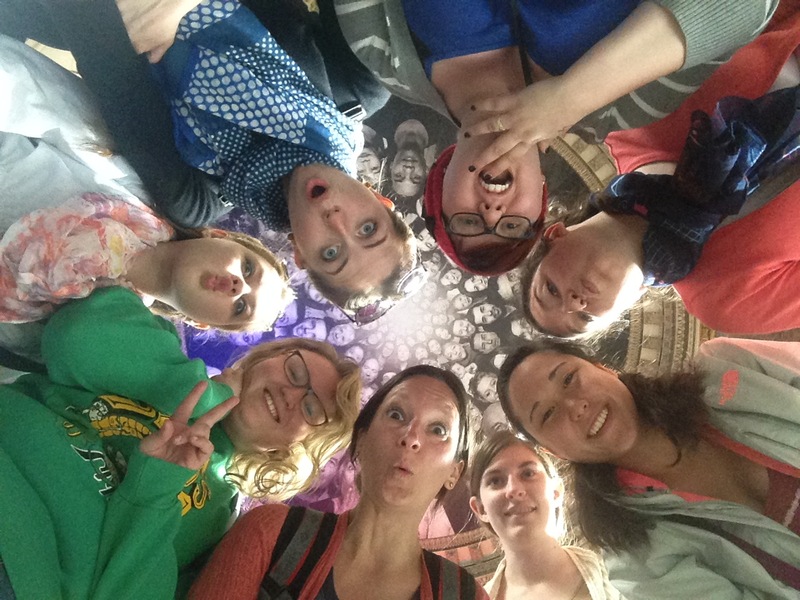 As a group of girls, we were particularly interested because the Panthéon only has one other woman (Marie Curie) who was added because of her own merits and it was very special that two new women were being included. How has my experience abroad affected me? Well, first off, before this trip I had never travelled outside the United States, taken a train, eaten duck, or experienced another country’s memory of war. 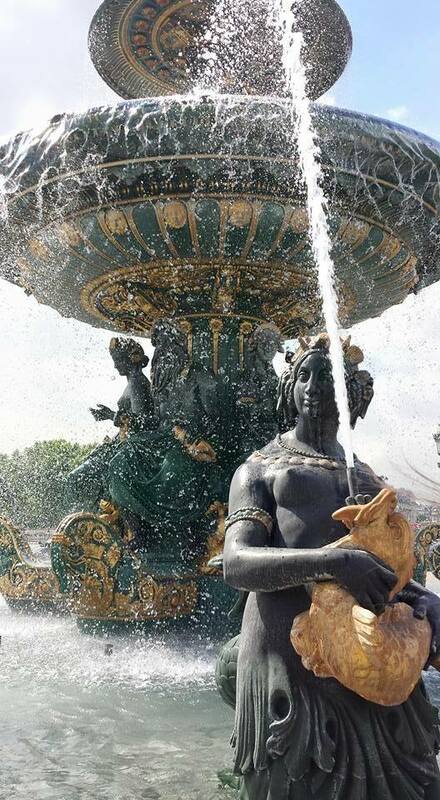 After the first day in Paris I had accomplished all these things, except the duck. That came later. It is hardly enough to say that this has been a life-changing experience, one that has sparked my interest in so many areas of life. Above all else this trip has reaffirmed my desire to travel and experience as many different cultures and societies as possible. I learned a great deal while abroad, and was able to see firsthand, examples of things I had learned about in previous classes. Seeing the product of the campaign to beautify Paris, known as Haussmannization, was more than awe inspiring. One of the most important things I learned is the difference between how we perceive war and how other societies, particularly the French, perceive war. For me war has always been a somewhat distant construct. Even though my family members have served in the military and been deployed during war, it was still happening far away. For Europeans, war has been close, in their back yard, at their door step. It is a much more real entity for them, one that leaves a very physical memory. It was an amazing experience visiting some of the war memorials such as the memorial at Mont Valerien, and the American memorial at Normandy. 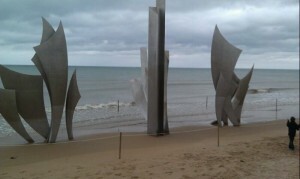 Entering the memorials was humbling to say the least. I could not help but to feel the weight of what those hallowed grounds represent, and the tragic memories they pay tribute to. So, how has my experience abroad affected me? How has it not affected me is the real question. 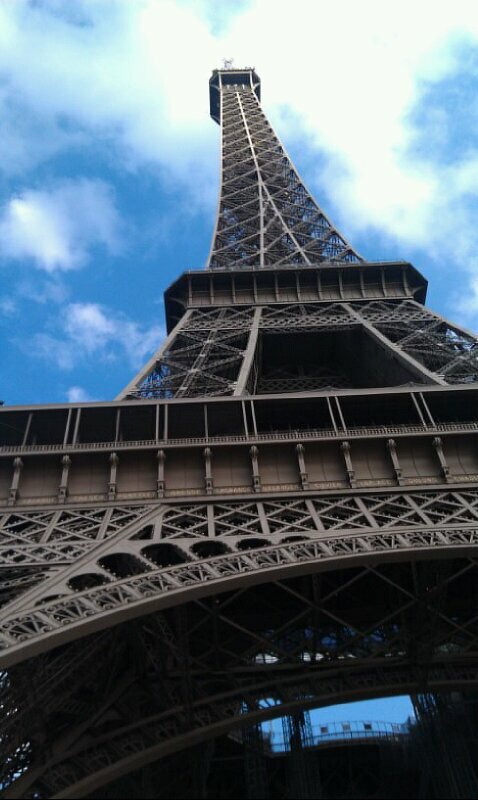 I have such a strong desire to return, and explore even more of Paris, and Europe altogether. The trip opened my eyes to how much history lies in the stone facades of the buildings, the sprawling fields where battles were fought, and the amount of memories waiting to be uncovered yet. After visiting Paris I miss the city intensely, but I am also extremely glad I am back home. Paris has its highs and lows, as does every city, but the City of Light was a truly unique experience itself. I was able to see the tourist attractions that children point out in books, like the Eiffel Tower and the Mona Lisa, and I was able to experience rare monuments dedicated to the tragedies and sacrifices of WWI and WWII. 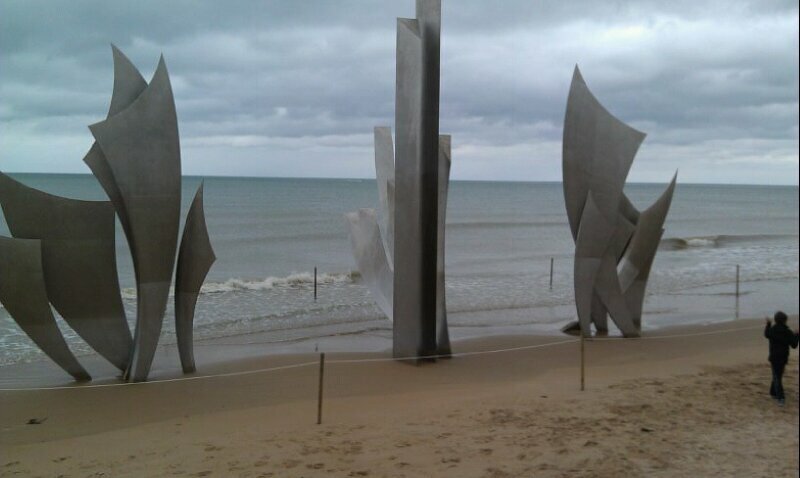 It is hard to believe that I stood on the same beaches that thousands of soldiers marched on to liberate France while we enjoyed a tour of the area and ate at a local restaurant as if nothing happened. The eerie peacefulness of the area and the horrific photographs that you know were taken at the same spot where young children now swim and build sand castles is eye-opening. At the same time, you realize how small you are during such an experience. It is amazing that in an 8-hour plane ride you can travel half a globe and experience a completely different culture. 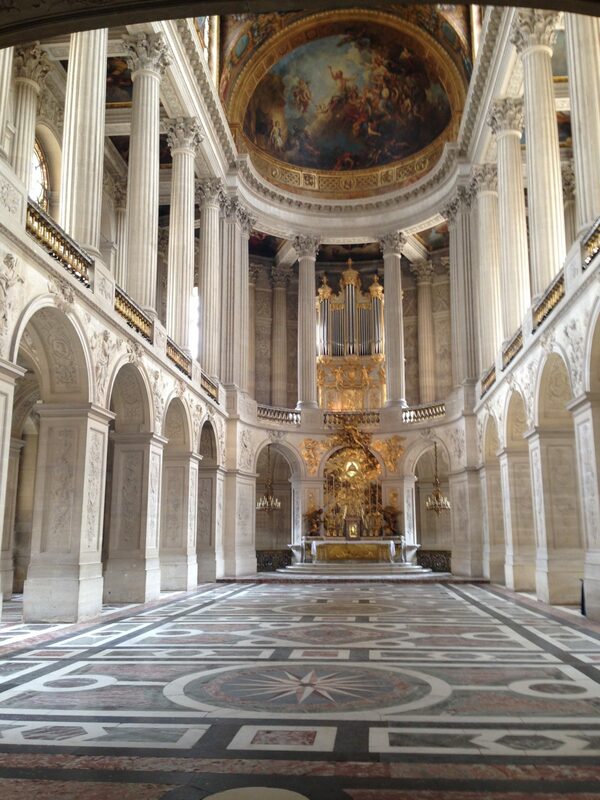 My favorite place that I visited was the Louvre, and the second was the Pantheon, where I saw the final resting place of Rousseau and Voltaire. They wrote some of my favorite books, and I didn’t even realize I would see them! 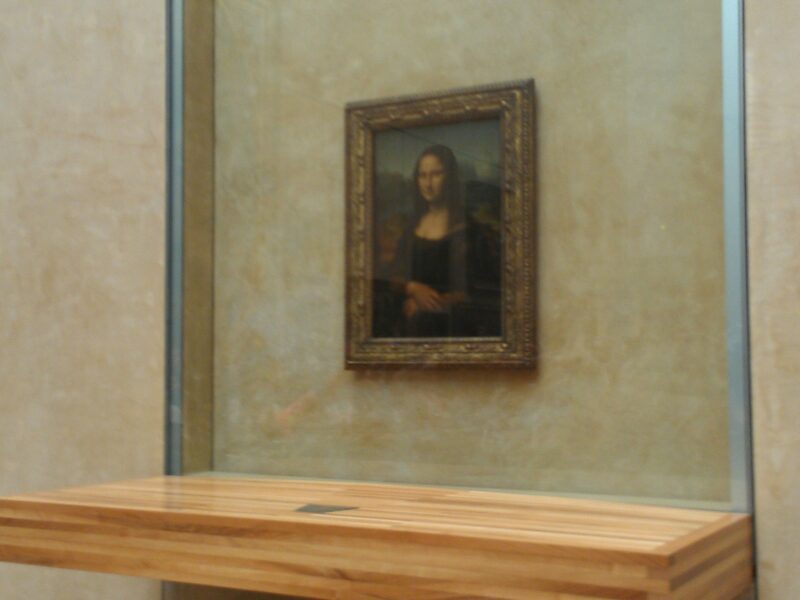 As for the Louvre, the amount of tourists was overwhelming. At the Mona Lisa, there was at least 100 people crowded in front of the work trying to get as close as possible. I was able to fight through the crowd, and I saw the masterpiece for the second time of my life. It was worth the crowd. You would never believe how much I had to fight to get this picture!! Overall, the experience was amazing. I am extremely glad that I had the opportunity to learn about WWI, WWII, and French culture at the very heart of Paris and Caen! The most important thing I learned, besides that my knowledge on WWI and WWII was very rusty, would be that the City of Light is nothing like you read in the picture books. The city is even more beautiful than any picture you can buy, the people are not as arrogant as we think they are (but they are a little bit at times) and the monuments they create are timeless, peaceful, beautiful, and breathtaking. My opinions of French culture never really changed, but I learned that they are very nice. I only had two people be rude to me, and I was lectured once on how could I visit Paris without learning French! I did get the occasional “sniff” when I asked if they spoke English, but after seeing how many tourists they get, I can understand their frustrations. 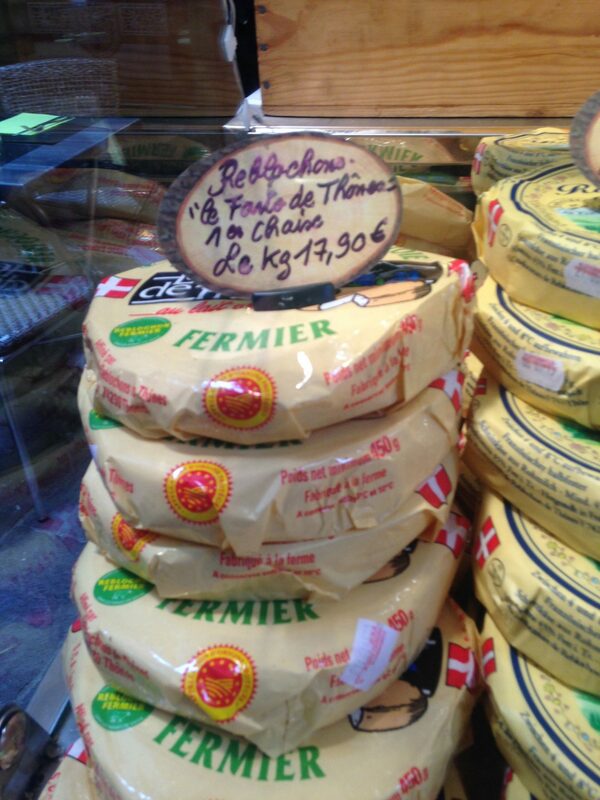 I miss Paris, but by the time I left I was sick of French food (shhhh, don’t let them know). 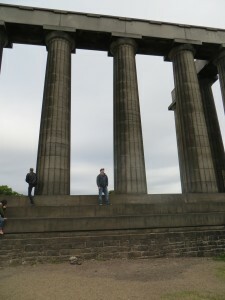 I hope our blog gave you an idea of what it was like, and hopefully it will encourage others to visit! This study abroad program has changed my life forever. I have traveled before but never to this extent and not with this much learning. I come from a German background so I have always had the perspective in my head that travel changes you. It wasn’t until this trip, however, that I learned about all of the different perspectives that are possible in the world. Like most students from the American school system, I was not aware of other cultures’ histories unless they affected us. As a country we are only a little over 200 years old but during my travels I saw structures that have literally been here for thousands of years. Before this trip my sight was very narrow but now I can see so much more. There is a huge world out there and I can see that now. 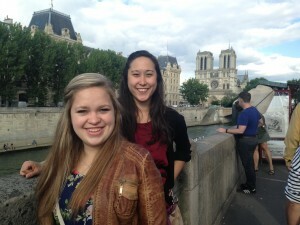 I have learned more about France in three weeks then I have in my entire life. I know that World War II was far more complicated than what our schools teach. There are many sides to that war and many different people involved in it. It was not a black and white war or a good versus evil war, like many believe. It was far more complicated than that as I have learned from the French’s perspective. There were those who did terrible things but there were far more people just trying to survive. 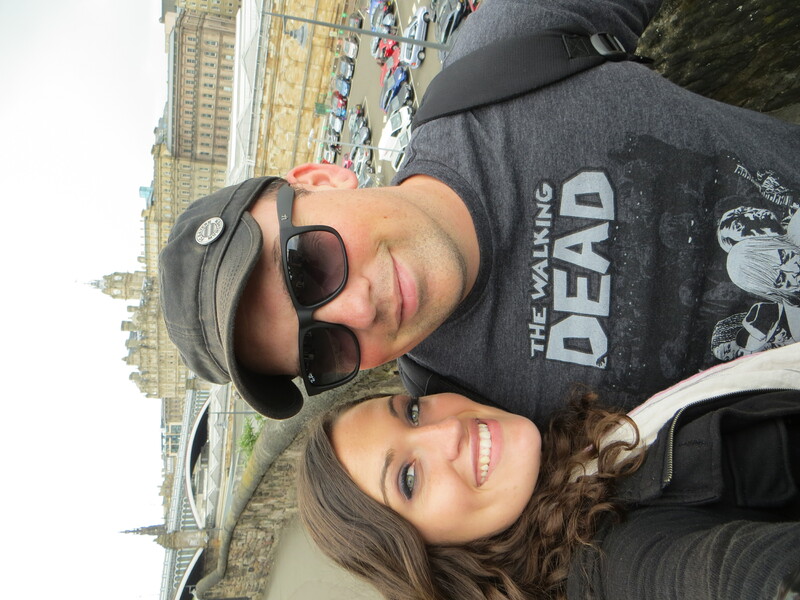 I traveled to over six countries in 30 days and have learned a vast amount about the world. The 30 days went by so fast and as soon as I got back it felt like a dream. I wish that dream had never ended.